It's not often that I read sci-fi. It usually just isn't my genre. 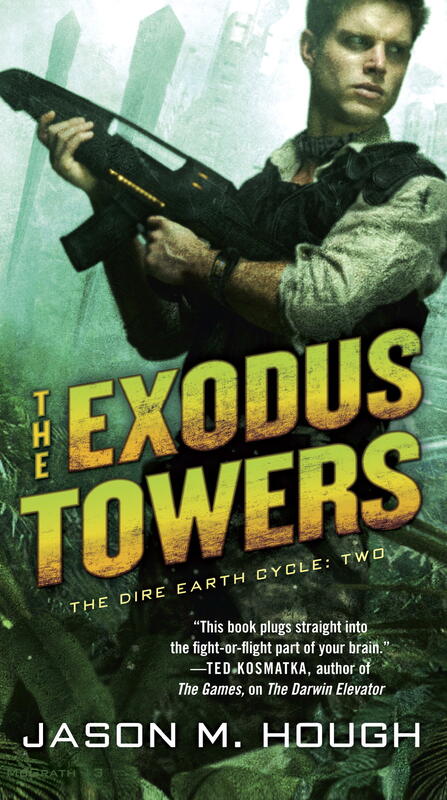 So for me to read and enjoy novels like The Exodus Towers by Jason M. Hough is a rare thing. The second book in The Dire Earth Cycle is gritty and action-packed, this book in particular a literal journey across the world with a multitude of characters coping with an alien disease that has ravaged the world and puts most of humanity in desolate, impoverished conditions. 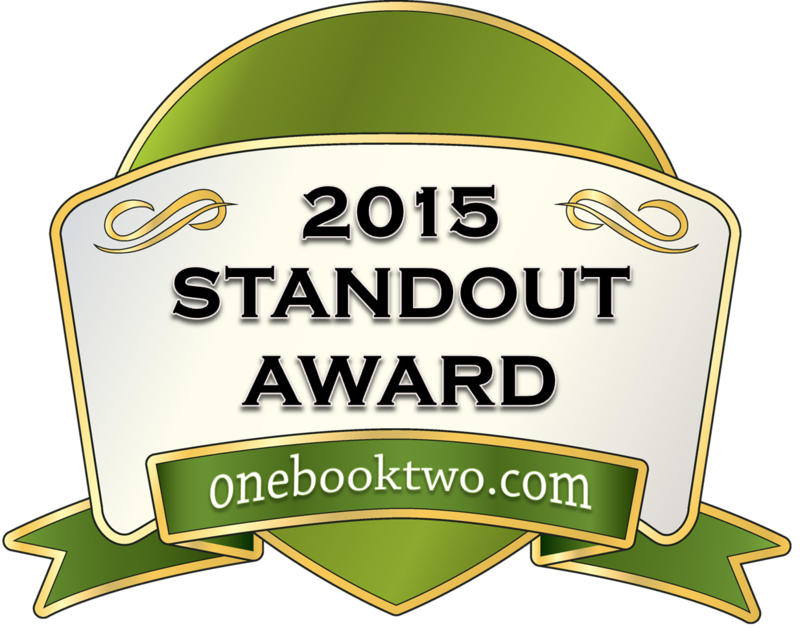 Definitely a book that fans of sci-fi and post apocalyptic/dystopia will enjoy. Minor spoilers to follow. Love the strong, action-implied cover. The choice of colors is great too! I'll start of by reiterating what I said earlier– this is a long book. It usually takes me three days to finish a full length paperback (I read in the morning and on the bus to work, usually a total of four hours a day). This one took me close to five. It wasn't just that the chapters themselves were long, it was the time length that passed from chapter to chapter. The book takes place over the course of a couple years, the length of time predicted before the next "Builder" (aka alien) event takes place. During this time, we see different events from four major characters– Skyler, a soldier-turned-smuggler, Tania, a scientist struggling to lead a new society, Samantha, one of Skyler's former crew-mates looking to escape prison, and Blackfield, a disgusting man looking to take revenge on Tania. Days, weeks, and occasional months pass for each other characters, and while the length of the book helps advance it, there were times when I felt like I was missing out on any events happening within those gaps. That being said, the different stories and events were engaging. I felt like I was reading a dozen of stories at once, each one drawing their own conclusion to move the overall plot along. It's hard to say who's story I liked the most, though I might have to go with either Skyler or Samantha. The world is impressively built. The various cities and destinations were fun to read, giving us different perspectives on what happened in various parts of the world, though most of the major action took place in Belém, Brazil. The setup of the elevators and towers were unique and detailed, though I was more fond of the gritty setting of Darwin, Australia. Each of the characters are memorable and strong in their own right. Skyler had a big heart, but knew when to make hard choices. Despite him being hesitant in the role of a leader (it really didn't work out well last time), he knows when to make hard choices and will deal with the consequences after the fact. Usually. Tania was a wonderful, complex character. A little on the soft side in this book, she was always searching for the humane options even if there were none. I understood her struggles, and found her easy to sympathize with. Samantha is still likely my favorite character, though. A strong, rebellious woman with street-smarts and a tendency to fight the rules, it was awesome to watch her to work for a new boss, and endure the crushing weight when she learned she chose the wrong side. Blackfield, though I'm loathe to say it, was one of the most compelling characters. The villains in this series are utterly fantastic, and Blackfield was one of the worst. He's absolutely abhorrent, a man who will use anyone to get his way, then cast them aside as soon as he's bored or thinks they've served their purpose. Don't even get me started on what he thinks of Tania and Samantha. Not a character to like, per se, but certainly one to enjoy. My only real complaints came from some of the characters actions, particularly Skyler and Tania and the romantic tension between them. I know that the best romances will have serious obstacles to keep the couple in question apart, and this is by no means a romance novel, but I felt that their drama was childish and put in place just so it was one more hurdle. Especially in the last moments of the book, where I literally had to hold myself back from screaming: "What the @#$%? Why would you do this?!" If I hadn't known there was a third book– and begun reading it immediately after– I would have been pissed. I really, truly, deeply hate cliffhangers. But not really. I really enjoyed this book, and feel that many fans of action filled science fiction would have fun reading it as well. If you're open to dyspotia/post-apocalyptic novels as well, you should absolutely give these books a try. They're unique and exciting, and not to be missed.